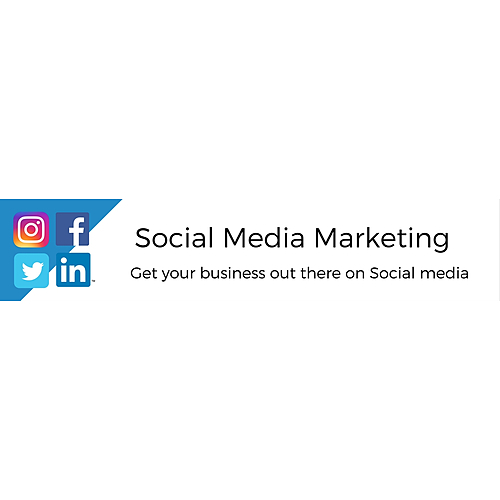 We have found three informative social media marketing infographs that we hope will help you pick your social media options. With all of the various social media outlets that people are using these days, we thought it would be nice share with you an infographic that breaks down each of the most popular social outlets. We hope this Infograph will help you pick the best social media option for your business. 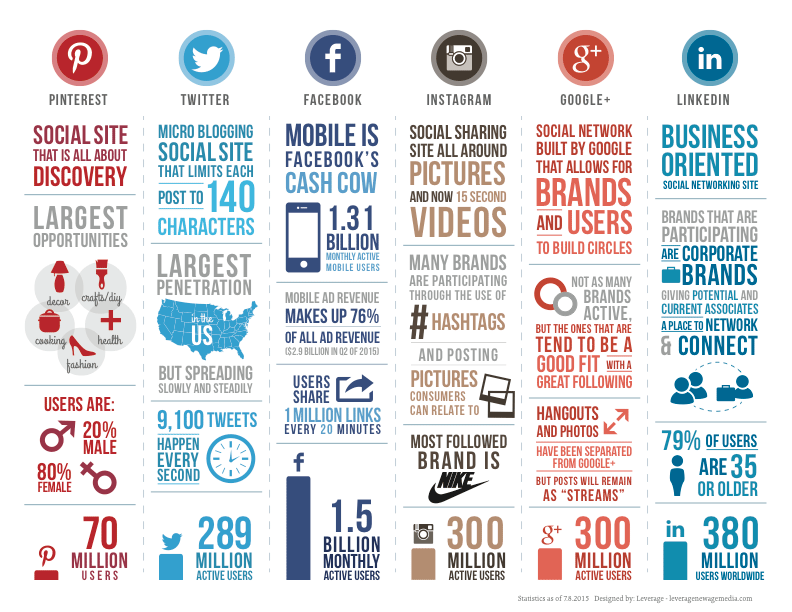 A Few Reasons Social Media & Content Matter For Marketing. 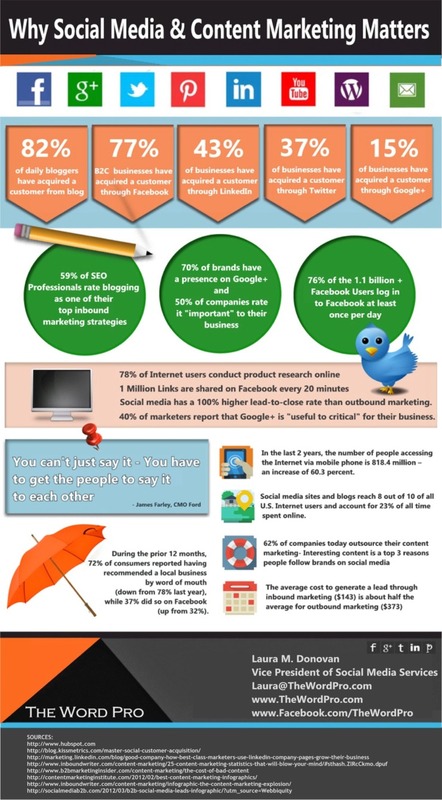 This last infographic is for small business and how your business can use social media to extend your reach. Social media allows for more connection to your customers and this will bring leads to your site.